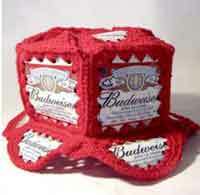 Dads, Grandpas, Husbands, Sons, Friends –They will love gifts that you crochet for them. Choose from 100+ free crochet patterns for men’s sweaters, hats, scarves, slippers, gloves and more! A tie for Father’s Day is extra special when you’ve made it yourself!